Merry Christmas Readers! Confession: every time I go back to school, I neglect you. I'm sorry. :( But now I have figured out my limitations, and will be taking only ONE class at a time, so I can spend more time doing the things I love.... like making cute new printables. At any rate: We have the December desktop calendar ready for download! 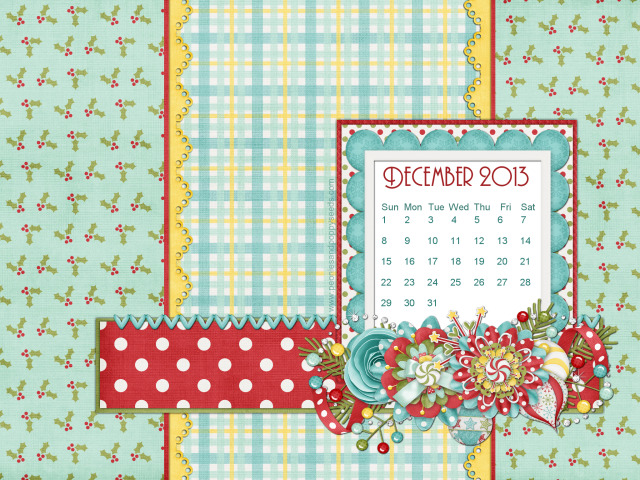 I love this digital kit from Just So Scrappy, it's simply Heavenly. (no really, that's what it's called. also: it's dreamy) Download comes formatted for regular and widescreen monitors, so choose the one that fits your screen best!